Blowing a double-digit lead in the second half. White player hitting a dagger three. This feels like every Kansas loss ever. The Jayhawks have, historically, not been good at the Champions Classic, with a win over Duke two seasons ago being the lone bright spot. Through five seasons of the event, Kansas has a 1-4 record, including 0-2 against the Michigan State Spartans after tonight’s loss. The first half was back-and-forth, with lots of fouls being called both ways. 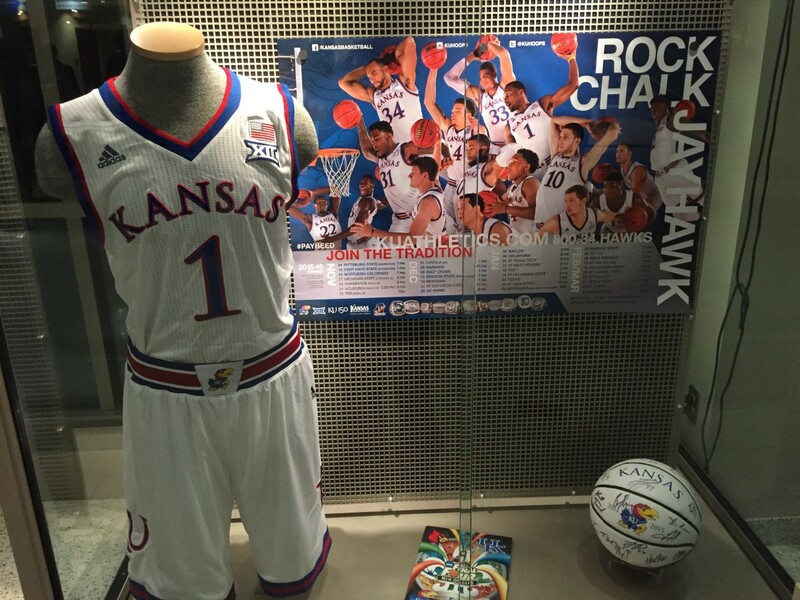 Perry Ellis continued to be the consistent player that we’ve come to know these last 15 3 years. He dropped 14 points in the first half while also receiving Twitter’s annual “Aaron Craft Award” for being the player everyone thought graduated three years ago. While Ellis was consistently putting up points, Devonte Graham looked off all first half, failing to make a shot from the field. Wayne Selden was the same old player that we all have seen… and the player we warned you he would be. The Jayhawks still seemed in good shape, as they led 41-35 at halftime. The defense looked great, and Perry Ellis was having a night. Following a Michigan State run to open the second half, the Jayhawks began to pull away. Kansas opened up a 11 point lead with just over nine minutes to go. The Spartans closed the gap, with Valentine achieving a triple-double in the process. With 6:08 left, the game was tied. Graham made his first shot of the game to give KU the lead back, only to see it snatched right back when Valentine continued his dominance with a three-pointer. He would finish with 29 points, 12 rebounds, and 12 assists. Teams traded blows to keep the game close throughout the next several minutes. Then, the sequence we’ve come to know all too well began. Michigan State drives to the basket, only to lose the ball as bodies dive for it. It somehow finds a way to a three-point shooter. Swish. Dagger. Kansas down four. The next three possessions may have been the most frustrating parts of the entire game. Frank Mason drives to the bucket, only to get blocked by said-white-guy who hit the three, freshman guard Matt McQuaid. After review, the ball is determined to be off Mason. Spartans ball. Mason bounced back by stealing the inbounds pass, and he passed the ball to Wayne Selden. You know how this goes; we’ve seen this before. Selden drives to the bucket and pulls a hopping, sideways… layup of some sort, I guess? It gets blocked, and the ball is off Jamari Traylor. Spartans ball. Then, Selden gets Kansas another steal under the bucket and is fouled, making both free throws to cut the deficit to 75-73. Following a couple of trips to the line for Michigan State, Kansas couldn’t get a three-pointer to fall, and the buzzer sounded. 79-73, final. 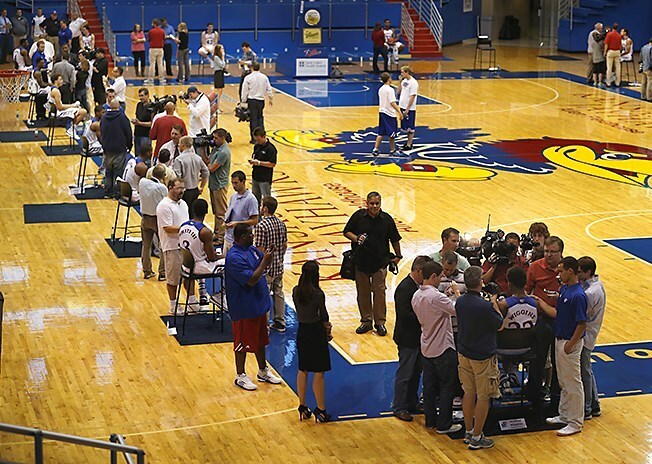 The biggest problem the Jayhawks had? 13/33 on layups this game. Without Cheick Diallo, this squad feels an awful lot like last year’s team. Let’s hope this was just a bad game. Next up: November 23rd, vs. Chaminade in the Maui Invitational. Kansas surpassed last year’s Champions Classic point total (40) and made field goals (11) in the first half. So that’s not too bad. Ellis: 21 points (9-18 FG), 6 reb, 34 minutes. Mason: 14 points (5-15 FG), 5 reb, 3 assists, 3 steals, 34 minutes. He is one of the best guards in the nation. So good. Almost never does anything frustrating. (Almost). Graham: Team-high 38 minutes (huh? ), 4 points (1-9 FG), 4 assists, 1 TO. After making his first two shots of the season, he’s just 2-for-18 since. Selden: 12 points (3-12 FG) in 27 minutes. Svi’s defense was fantastic this game. He could become the best perimeter defender on this team by the end of the year. Svi’s shot still makes me swoon. Unfortunately, he didn’t shoot a three tonight. Four points on 1-4 at the line. Speaking of not shooting threes, Brannen Greene. In fact, he didn’t take a single shot tonight. He made six free throws to give him all of his points. Jamari had some questionable fouls near the end of the first half. Overall, he had a solid performance, scoring six points and collecting seven rebounds. Lucas: two points and seven rebounds, but just 1-5 from the floor. Carlton Bragg took two shots, both of which were long two-point jumpers. He made them both for four points. Bragg, Greene, and Mickelson didn’t play a minute in the second half. Kansas shot just 35% for the game. It was 3-15 (20%) from deep. Despite committing 10 fewer turnovers than the Spartans and shooting 14 more free throws, the Jayhawks lost. Huh? This team really seems a lot like last season’s, and I just can’t shake that feeling. If anyone finds the new version of Wayne Selden, please contact me on Twitter. $$$ reward. Much appreciated.